Brad McKinney received his black belt after 8 years of training Brazilian Jiu Jitsu in Boise, Idaho. The highlight of his jiu jitsu journey was competing and training in Rio De Janerio alongside the world class team, Alliance Jiu Jitsu. He began Abide Jiu Jitsu Boise in 2017. Would you like more information on hours, classes and programs available at Abide Jiu Jitsu Boise? Please contact the school with your questions. Update the details, Write a Review or Report Error of Abide Jiu Jitsu Boise. View all Dojo in Boise or in Zip code 83702. This Chart shows the Martial Arts Styles offered most in Boise, Idaho area. 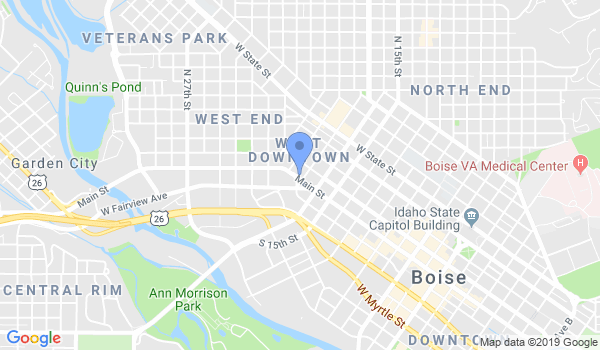 View a list of Dojo in Boise, or enter your address below to find schools closest to you.